1st and 2nd mortgages are financial products many current or future homeowners will have to deal with. You do everything possible to maintain an excellent credit score and work hard to save up enough money for a down payment. When it is time to buy your dream home, you hope you can find a low cost mortgage. If you are like many borrowers you don’t have enough for a down payment so taking out a 2nd mortgage to make up for the down payment shortage becomes an option. As years past and rates change there may come a time when you will want to consider refinancing your 1st and 2nd mortgages. Finding mortgage lenders that offer the lowest rates and best terms is essential when looking at your refinance options on your current 1st and 2nd mortgages. An ideal tool you can use to start your search is the internet. At ezratequotes.com, our rate tables provide you with current rates and terms from a number of lenders serving your area. Rates and terms can vary greatly from lender to lender making it important that you do your research once you decide it is time to refinance your 1st and 2nd mortgages. 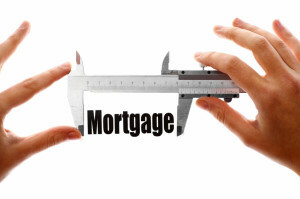 Why Refinance 1st and 2nd Mortgages? While there are a number of reasons to refinance a mortgage, here is are some of the most common reasons people use for refinancing their 1st and 2nd mortgages. Use a home equity line of credit to create access to readily available cash. Make sure you do your homework in finding the best mortgage options for your current situation no matter what your reason is to refinance. Check out our simple and free rate table service and see what current mortgage rates and terms look like in your area.